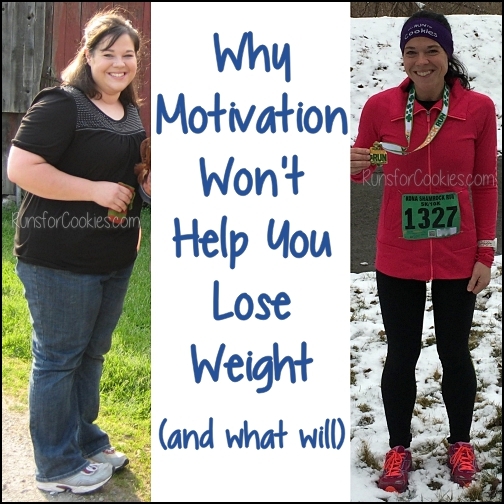 People are always asking me what apps I use for this or that when it comes to running, weight loss or maintenance, and habit tracking. I decided to put them all in one place on this post! This is the app that I use for calorie counting. 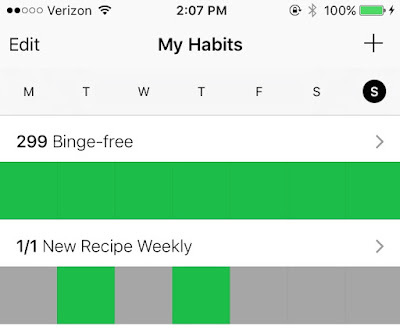 I used to be a fan of My Fitness Pal, but once they integrated ads in the middle of my food log (causing it to lag as it reloaded after each addition), I decided to look for a new app. I tried Fat Secret, and I LOVE it--I even like it much better than I did My Fitness Pal. I have mine set up so that the only thing I see is calories, which is the only thing that I focus on, and I love how clean looking it is. It has a bar code scanner, a weight log, a recipe builder, and other features that are important to me. This is a mobile version of the McMillan Running Calculator. I mainly use this when I write running plans for my family and friends, but it's fun for myself as well. I can plug in a recent race time, and it will tell me what my training paces should be, as well as what I could expect to run a race of a different distance. my times for other race distances. suggestions for my pace on other workouts. This app gives me all the info that the Garmin Connect app does, but also includes a LOT more detail. It uploads automatically from Garmin Connect. I like using this app for detailed running data. If you're a numbers person, or you like looking at graphs, this is perfect for you. to see a lot more detail about each particular stat. This app is nice for when I'm setting my running goals. For example, I wanted to run 49:22 (or better) for my 10K race in April, so I plugged in the distance and time goal, and it calculated the pace I would need to run. It also calculates your mile (or kilometer) splits--so, in that example, I would know that I should hit mile three in 23:50, mile five in 39:43, etc. A simple, but helpful calculator! I wrote in detail about this app recently, which you can read about here. This is a great app for keeping a weight log! 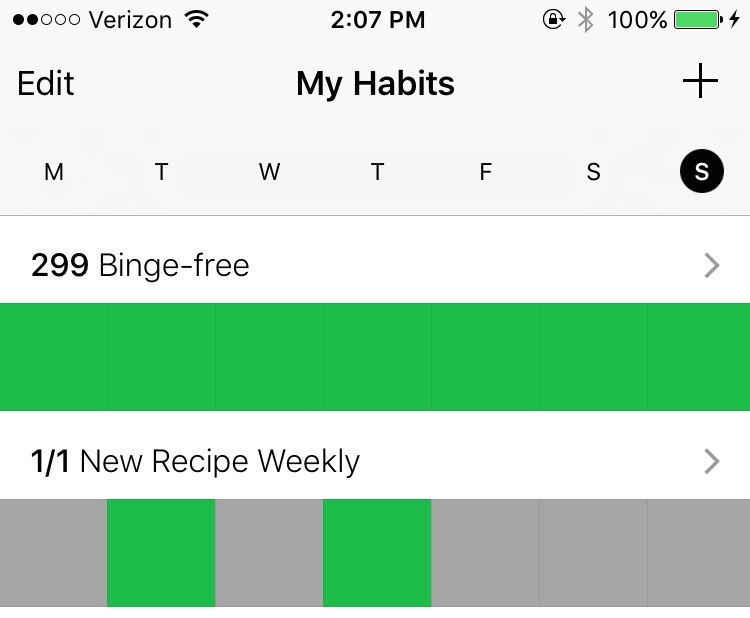 This is the app that I use to track my binge-free days and some other goals that I set. It's very simple--if you do what you're supposed to, you just tap the box and it's marked as completed. It keeps track of your streak. You can choose how many days per week or month you want to do the task, too. I thought I'd throw this period tracker app in here as well. While this has a lot of features, the only one I use is to track the days of my period. It's nice to be able to look ahead and see if I'll be on my period during vacation or something important. You can also track PMS symptoms, ovulation, and other things if you wish to. the gray ones are projected period days. This is totally random, but I use this app every single night and I love it. Jerry and I have always slept with a fan running in the room, simply because we needed the white noise to fall asleep. When I found this app, I decided to try it, and we have since stopped using a fan. This is just a compilation of dozens of sound effects--you can play just one at a time (wind, for example), or combine several (wind, crickets, and campfire). You can have it stay on all night, or shut off after a specified period of time. This has really helped me to fall asleep at night. And now, please tell ME--what are some health apps that you love and use on a regular basis? Awesome, thank you for sharing. I'm going to check some of these out. I love this post! I look forward to checking out many of these. 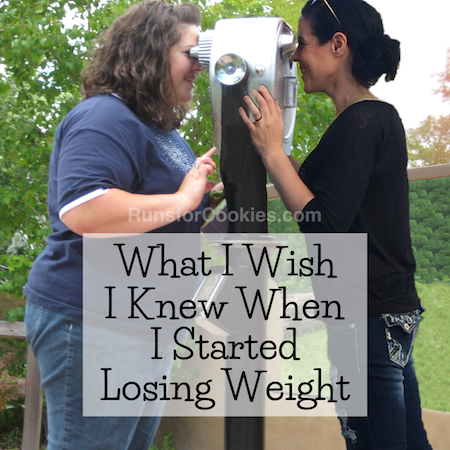 I love using the app LoseIt! 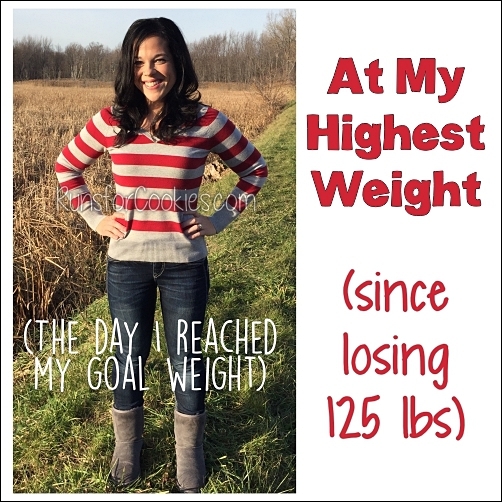 I also have the scale they put out and I find it so helpful. I love SmashRun. I thought you used that too? Hm! As fas as I know, Smashrun doesn't yet have an app...? Correct me if I'm wrong! I'd love to see them develop an app. I love Smashrun! If you click on the box with the arrow below it on your device there is an option to add it to your home screen and then it makes a little icon that looks just like an app icon. Very cool! I'm going to try some of these! The only other one I have that wasn't listed is called FitSnap. 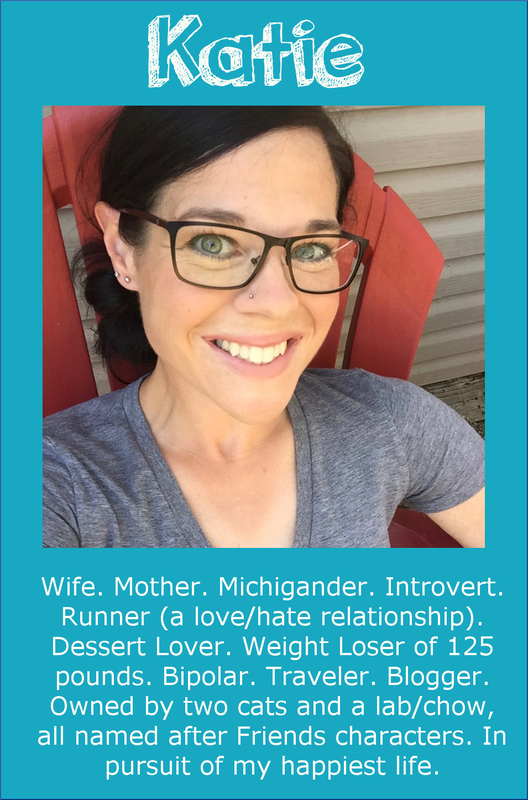 You can capture a picture, self if, or running quote, whatever and then use it to share your workout to social media like FB of Insta. 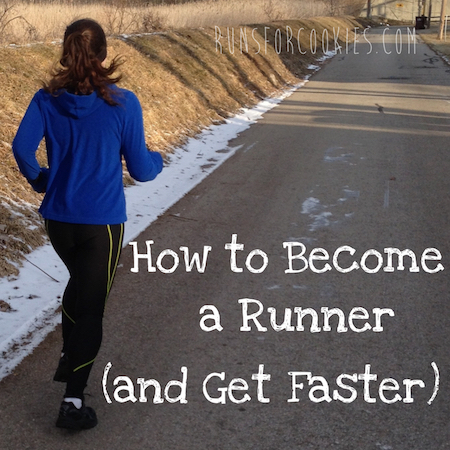 You add your time and distance and then it adds the pace and upload it. It's just a "pretty" way to share if you like to do that. This is probably random but I love the Rock Clock app. It's created by The Rock himself (who is probably my biggest celebrity crush, no wonder I love the app lol) and you can set it so you wake up with The Rock (which I've never done because he gets up at like 4:00 AM!!). Or get up at your own time and you can choose different alarm sounds, like The Rock yelling at you to get out of bed. Plus every day he has a different motivational message. 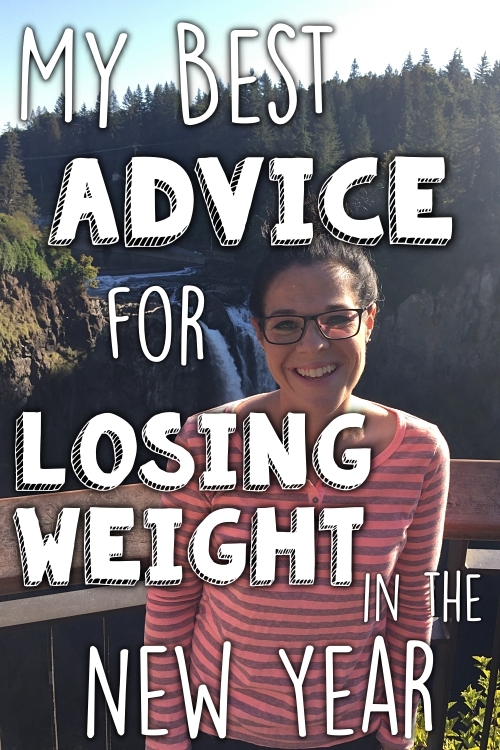 It's just fun and it really does help me get out of bed in the morning to workout! I have used mapmyrun for years. First just online and then on my phone. My Harmon barely works anymore, so I use this app to track my runs and rough splits etc. it wouldn't be good for precision, but for my runs these days it is good enough. My one main stay app is ResQWalk, I am in Canada but this works all over Canada and the US. Just log in and pick an animal rescue you want to log miles for and off you go, so simple and so easy to donate as well. I will be looking at the apps you are using, some are very intriguing. Thanks for writing this post. I've been using the period tracker for years! its always useful. and downloaded happy scale after your review and LOVING it so far. Especially as my weight fluctuates like crazy (and I usually know the why's) its nice to see the trends. I love, love, love seeing what other fitness apps people use. - If you get one of the heart rate monitor straps with Garmin you'll get a ton of more information from your run, and won't need the other app for the info that it's showing.